The New Year is a time for new hopes, blessing, success and joy. It is universally accepted that the key to success is Education. Therefore NCHS is happy to offer you a plethora of educational opportunities for a blessed new year! Life at university and the forward step from secondary to tertiary education is often considered as the stepping stone to the future. University is the point in which choices are made that set the foundation for the days to come. It is said that what is crucial is not the mere subjects learned, but the maturity and wisdom that is learned together with the subjects. These identical industry-informed and industry-engaged study programs at NCHS are specially designed to combine rigorous academic studies with practical knowledge essential for the academic and career success of the students. Furthermore, the study programs conducted at NCHS are identical to the partner universities and follow the same curriculum, methods of teaching and evaluations, ensuring high quality and international standards. Swinburne University of Technology, Australia has exclusively partnered with the Nawaloka College of Higher Studies (NCHS) to provide students a guaranteed pathway to prestigious Swinburne degrees. Thus, a flexible, time and cost effective study option is now available locally. Furthermore, students will have access to numerous degrees in the streams of Business, IT and Engineering at Swinburne, Australia and Malaysia. This enables NCHS to offer a plethora of subjects to the students. The partnerships will eradicate most of the impediments that deter students from studying in Australia and America. 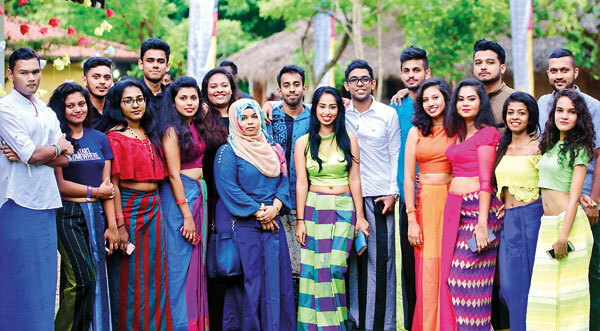 Furthermore, the California State partnerships will enable Sri Lankan students to study in California after completing the first two years in Sri Lanka. Students who join NCHS will directly enroll and be recognized as students of CAL STATE. They are given the option of choosing to do a degree of their choice on completion of the 2 years at NCHS. NCHS has therefore affiliated with the California State University Monterey Bay, California State University San Marcos, California State University Bakersfield, California State University Sacramento, California State University Northridge, California State University Fresno, California State University Humboldt and the State University of New York at Albany. In addition, transfer programs in Law are available through the Ulster University, Ireland. Located in the heart of Colombo 03, NCHS offers the best facilities which include purpose-built engineering and computer laboratories, a resource-oriented library, study areas and ample parking space and reputed academics to administer the programs. The same syllabus, methods of delivery and evaluation are followed, ensuring that the pathway programs conducted at NCHS are of equal standard and quality.